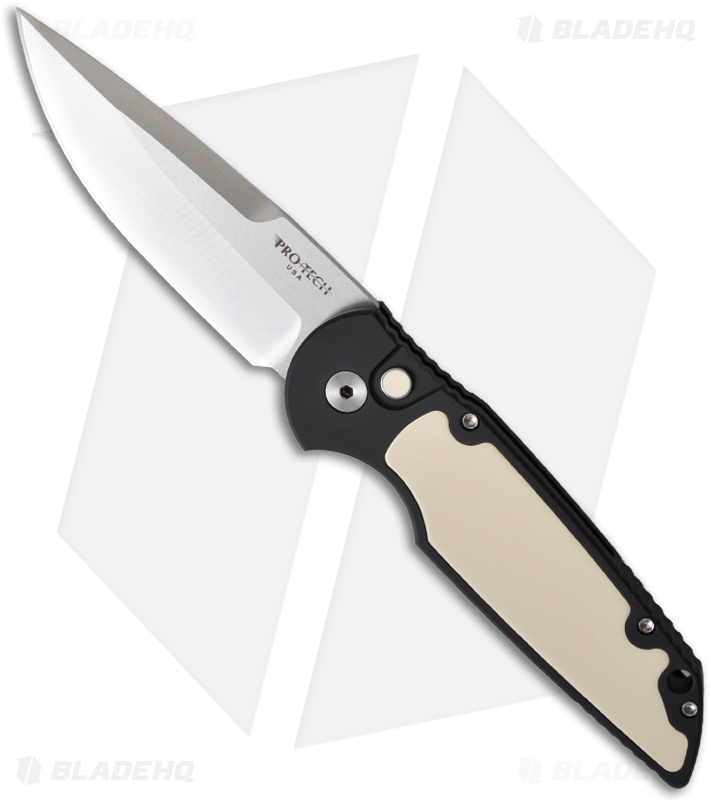 This Tactical Response TR-3 has a Tuxedo style handle that features a black anodized aluminum frame with an ivory Micarta inlay (front) and matching push button insert. 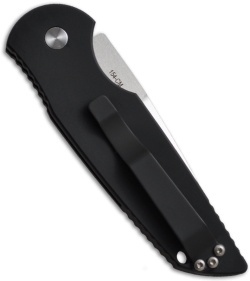 The handle back is smooth and includes a tip-up carry pocket clip. The blade is 154-CM stainless steel with a satin finish.